"Fusion" refers to everything Physical Education at Albert Einstein Academies. This includes our Physical Education Classes, Youth Trainers, Group Fitness, Running Club, Lunch League Sports, Field Day, Family Fitness Runs etc. Fusion Fundraisers allow our K-8 Physical Education Department to target equipment and curriculum needs for the many enrichment and learning opportunities that are offered to our students. The Rock‘n Run-a-thon is a fun, music-energized day to celebrate fitness and your school! AEA students will raise money to go towards our enrichment classes. This is a fun one-day event that encourages all students at AEAES to take an active role in FUNdraising! 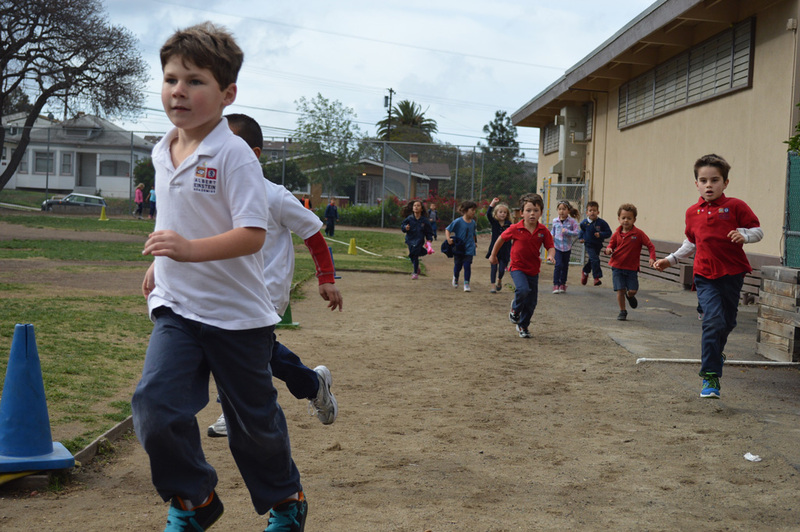 GOAL: Each class, K-5, will participate in the Rock’n Run-a-thon to get outside and run or walk with their friends. Students can also earn cool prizes by raising money for AEA’s Enrichment Programs, like PE, art, music, science and gardening. FUNDRAISING PRIZES: new 2015 t-shirts! stay tuned for complete details! Complete details and donation sheets will be sent home and be available online soon. We would love your help during the event to cheer on all of the runners. Parents will also help with water stations and tracking laps around the AEA Playground/Running Club course. Please contact Lissa Metzger with any questions or to volunteer. Thank you!